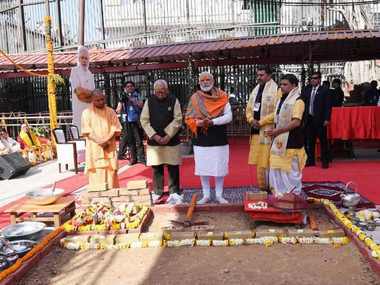 Nine students from Banaras Hindu University (BHU), who were on their way from Jantar Mantar to the prime minister's officia residence to submit a memorandum, were detained by the Delhi Police on Thursday. The students — eight boys and and a girl — were released later. The Chanakyapuri Police said the girl was asked to leave soon after her detention while the other were let off late in the night. The girl, Mineshi Mishra however, refused to leave without her friends. Just heard dat BHU girls hv been detained at PS Chanakyapuri. Speaking to Police 2 imm release them. DCW team on its way to assist them. The girl student, Mishra, alleged that during the detention period her friends were threatened by police and some of them were "deported out of Delhi". "We are not going to encounter you. We will just drop you off Delhi, just like Teesta Setalwad," she said quoting the police in a complaint to the DCP Chanakyapuri Polic Station. "I put on record if it weren't for the media personnel the police was fully prepared to manhandle us, just like they did in BHU. My request is not only to take action against your intimidating officers but also ensure safety and liberty of me and my friends," she said in the complaint. 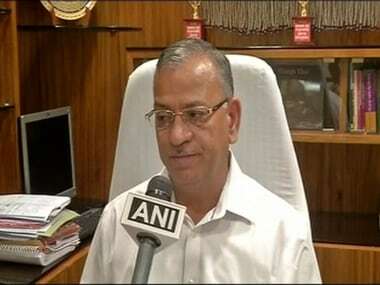 Meanwhile, BHU Vice-Chancellor Girish Chandra Tripathi is facing yet another crisis. The Times of India reported on Thursday that Tripathi was caught on camera berating the girl students of BHU. The source and veracity of the video could not be immediately confirmed. In the video, Tripathi can be heard asking students, "Why did you protest and bring dishonour to the university? ""Koi bhi dharam ki baat karne ka adhikaar usi ko hai jo khud dharam par chale. Tum ye bataao ki ladkiyon ne dharm ka paalan kiya, ki ek ladki ki asmita ko lekar bazar me pahunchin? (Those who are righteous themselves have the right to talk about righteousness. You tell me whether the girls did the right thing by raking up the issue of modesty of a fellow girl student in public like this?)." 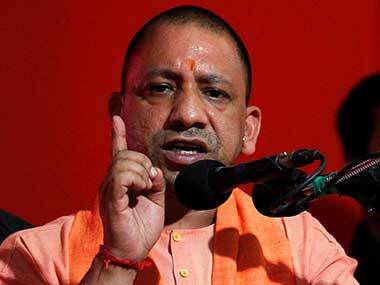 Meanwhile, Chief Minister Yogi Adityanath said that according to the intelligence inputs, the violence and lathicharge on BHU girls was a conspiracy against the government. "It is clear that the row escalated due to communication gap between students and university authorities, following which some outsiders got the opportunity to create ruckus. All such outsiders have been identified through CCTV footages. They will be punished strictly," said the chief minister, who is in Gorakhpur till Dussehra. The report has been sent to the Centre, Hindustan Times reported. 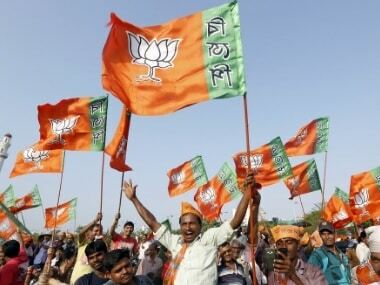 "To avoid such incidents in future, the state universities have been asked to work in coordination with the Centre," Adityanth said, adding the BHU-like incidents were flared up to divert attention of people from development work of Modi and BJP president Amit Shah. Meanwhile, Maliwal on Thursday also wrote to Modi demanding that Tripathi be terminated over the handling of the recent violence on the campus. "BHU V-C (Girish Chandra Tripathi) should be terminated for baton-charge on girls and strict action should be taken against him. Girls at BHU campus and hostels should be provided security," Maliwal said in her letter to Modi. "University or college administration should be made accountable for any mishap or harassment of girls on campus of college," she said. "Even after several complaints, the administration did not take action against the miscreants. To make their voice heard, the girls protested and were baton-charged by the police," it said. Such practices are prevalent in prestigious colleges in the national capital as well. In the last one week, security of girls in two colleges of the DU has been brought to limelight, she said. "Around 500 students of Ambedkar College went to the police station demanding safe and secure campus for girls where eve-teasing and groping was a regular occurrence. At Khalsa College, some boys tried to forcibly enter the girl' hostel," she said. The women's body has sought PMO's intervention into any discrimination in hostel timing for boys and girls an drafting of a national policy to ensure safety of girls on campus. Tripathi said that he will "resign" if he is asked to proceed on leave and maintained that the HRD ministry had not told him to do so. The ministry has, meanwhile, initiated a routine process to shortlist the successor of Tripathi, who is at the centre of the controversy over handling of the recent violence in the Banaras Hindu University (BHU) campus. His tenure ends on 30 November. "So far, nothing of this sort has been communicated to me. I have been in touch with the HRD minister (Prakash Javadekar) right from the day of the incident and have briefed him about the situation as well as the measures taken. 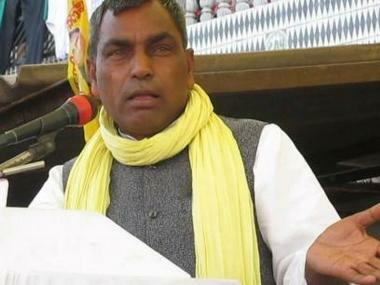 But if am I asked to go on leave, I will resign," Tripathi told PTI. Tripathi said that he has contributed a lot to improve the functioning of the university. "Having done so much, it will be insulting to go on leave two months before my tenure comes to end. I will prefer quitting," he asserted.